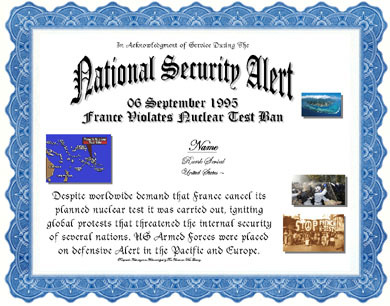 Despite worldwide demand that France cancel its planned nuclear test it was carried out, igniting global protests that threatened the internal security of several nations. US Armed Forces were placed on defensive Alert in the Pacific and Europe. 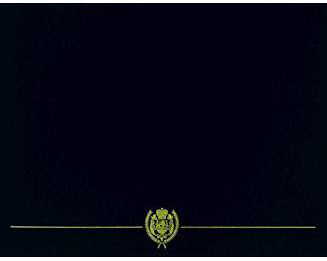 Authorized for Active Duty and Ready Reserve Service service during the Alert period.